Epcot (EP): One of the four main Disney World theme parks. Magic Kingdom (MK): One of the four main Disney World theme parks. 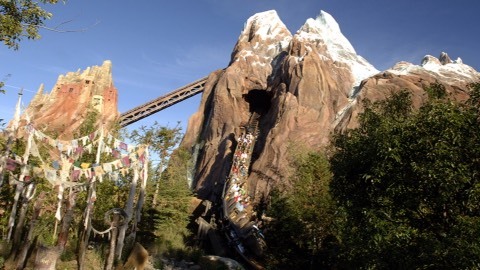 Disney's Animal Kingdom (DAK): One of the four main Disney World theme parks. Disney's Hollywood Studios (DHS): One of the four main Disney World theme parks. Formerly known as MGM. Blizzard Beach (BB): One of Disney's two water parks. 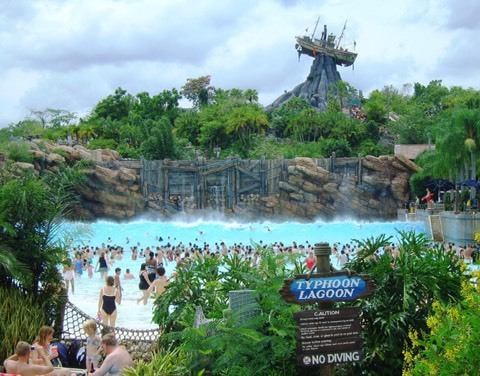 Typhoon Lagoon (TL): One of Disney's two water parks. Downtown Disney (soon to be known as Disney Springs): Shopping and entertainment district at Disney World. 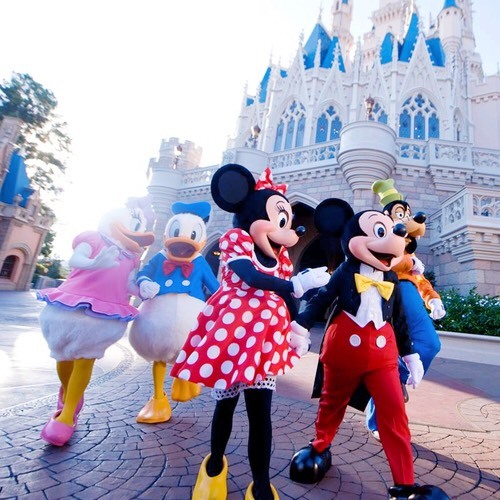 Character Meet: meeting your favourite Disney characters in select locations in the parks. 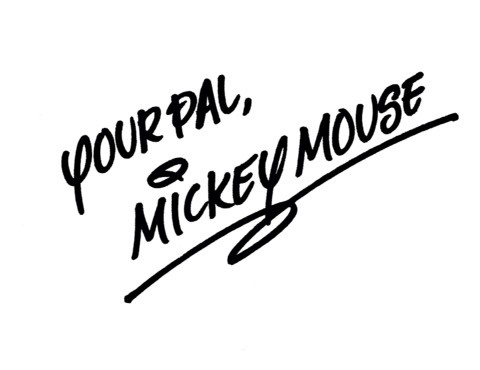 Character Autographs: You can collect autographs from Mickey and friends in all the Disney parks. 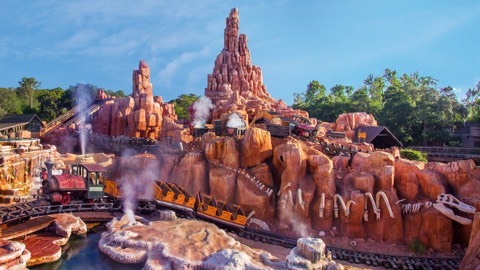 Single Rider line: A special line at select attractions for single riders. Used to fill up seats on the rides, the single rider line moves very quickly. Child Swap Program: Allows parents of small children to take turns enjoying a thrill ride without waiting in line twice. Ask for a child swap ticket at the ride entry point. 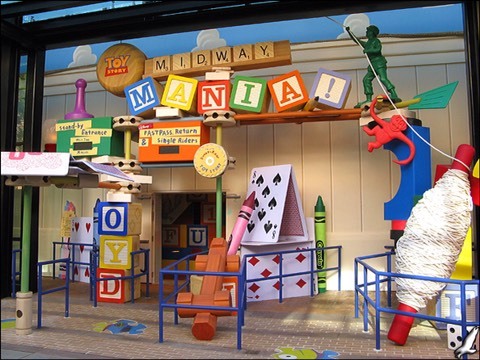 Toy Story Mania (TSM): One of Disney World's most popular rides, located in Hollywood Studios. 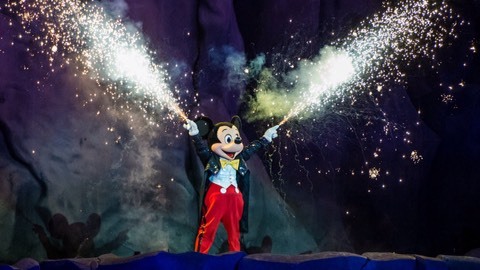 Fantasmic: End of the day fireworks event and show at Disney's Hollywood Studios. 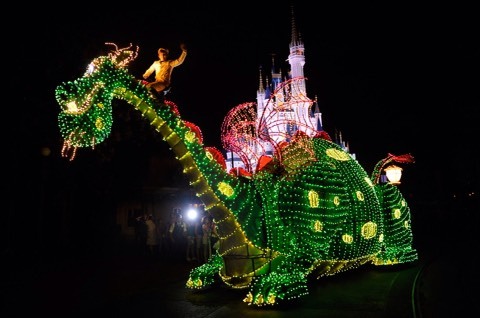 Electric Light Parade (ELP): Spectacular parade that appears at the Magic Kingdom. 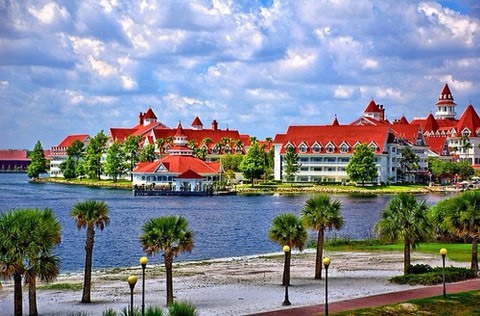 Disney Resort: Hotels right in Disney World, staying here brings special perks like free parking and extra magic hours in the theme parks. Extra Magic Hour (EMH): Extra time in the theme parks, a perk for Disney resort guests. Takes place before park opening and after closing. 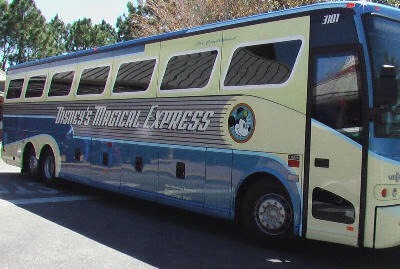 Magical Express: free transportation between resort hotels and the airport. Disney Dining Plan (DDP): Pre-paid Disney Dining program with many options for meals and snacks. Depending on your needs and appetite, this plan can save you a lot of money on food at the parks. Advanced Dining Reservations (ADRs): Restaurant reservations; can be made up to 180 days in advance. 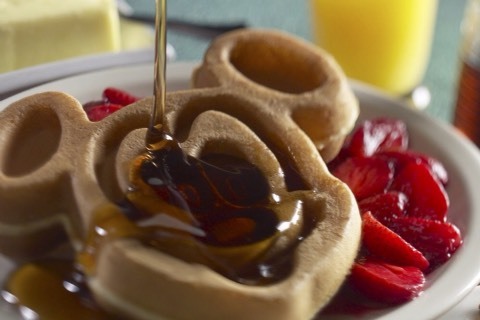 Character Dining: Meet Disney characters while you enjoy breakfast, lunch, or dinner at a theme park or resort. Table service restaurant (TS): A traditional sit down restaurant in Disney World. 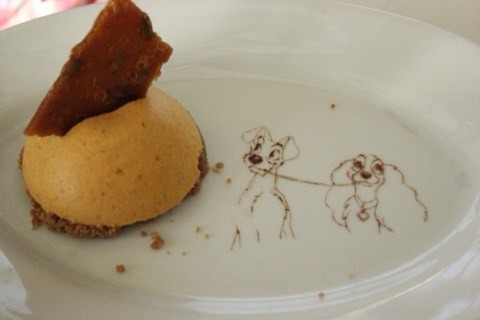 ADR's (Advanced Dining Reservations) are essential. Quick service restaurant (QS): A fast-food type dining location, also called "counter service restaurant." 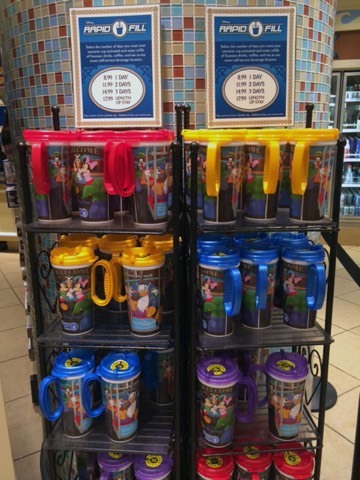 Resort mug: Guests staying at a Disney resort can purchase a refillable mug and use it for free refills on soda, tea and coffee at the resort for the duration of their trip. My Disney Experience: after creating an online account with Disney, guests can use the My Disney Experience website or Mobile Application to view park operating hours, park maps, nearby attractions and entertainment, current wait times, menus, make dining reservations, and manage itineraries. 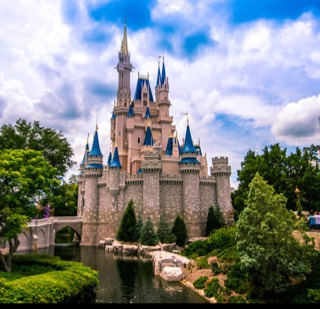 FastPass+: allows guests to reserve and plan a visit to a Disney Park in advance for select FastPass+ attractions, Character Greetings, entertainment, and viewing areas for parades and fireworks. The new system allows guests to make reservations up to 60 days in advance, and change at any time. Memory Maker: a website that allows guests to associate the pictures taken on attractions, dining, character meets, and entertainment locations with their MagicBand, Memory Maker card, or Disney PhotoPass card. Photopass: a photography service offered in the Disney Parks. 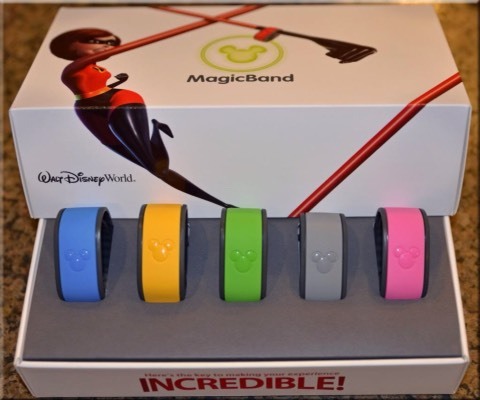 Magic Your Way: Disney ticket program that allows you to choose just the options you need for your visit. Annual Pass: Ticket that is good for park entry any day of the year. A good value if you visit Disney World frequently. Park Hopper: An optional add-on to a Magic Your Way ticket. It allows you to "hop" or visit more than one theme park per day. 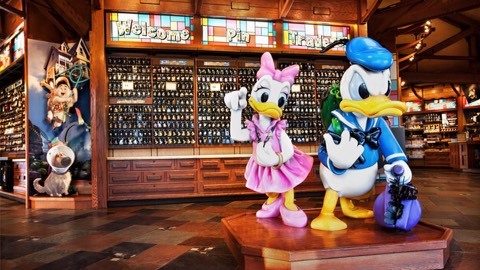 Disney Pin Trading: Collectible pins to display and trade, a theme park tradition. 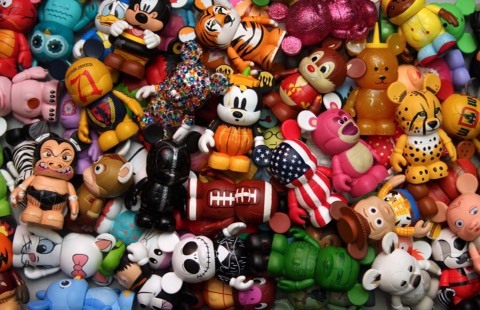 Vinylmations: Hottest new Disney collectibles to buy and trade. 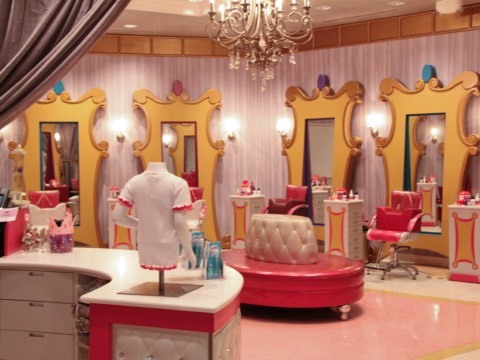 Bibbidi Bobbidi Boutique (BBB): great place to get a magical princess makeover. Little girls get their hair, nails, and makeup done. Check out my page for more Walt Disney World info!